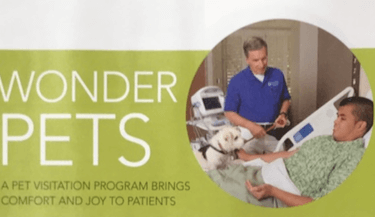 Twice a month, Pet Partners’ eNewsletter Just What the Doctor Ordered! delivers a dose of furry therapy to your inbox. Take a look at our past featured volunteers and the wonderful work that their animals do in our Therapy Animal Program. Are you subscribed to our eNews? Don’t miss out on these beautiful stories and other updates of what our innovative, fast-growing organization is up to! 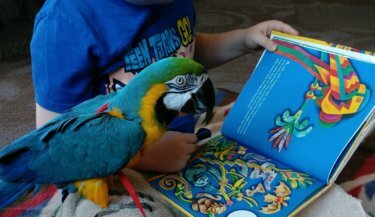 Dan Lee received his blue-and-gold macaw, Buddy, in 2012. The duo hit it off instantly and became a Pet Partners registered therapy animal team a year later. 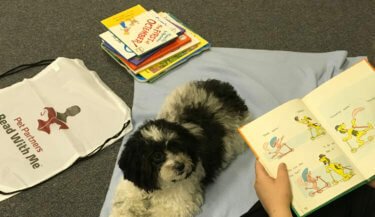 Read about how Buddy is helping kids in his community. Christy Santoro received her cat, Tommy, when he was just 4 weeks old. He came to her with a severe eye infection and eventually, had to have both his eyes removed. 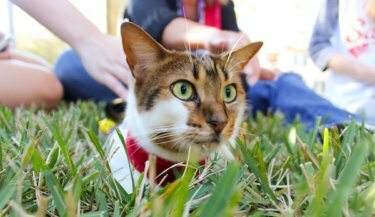 Read about how Tommy overcame his challenges and became an incredible therapy cat. 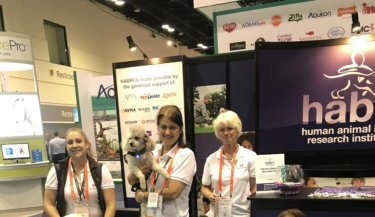 Our friends at the Human Animal Bond Research Institute recently exhibited at Global Pet Expo. A few Pet Partners teams joined the HABRI booth in the Comfort Corner, which was designed to help attendees relax and relieve stress. 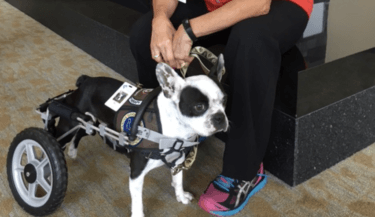 Read about how these therapy teams stole the Show! 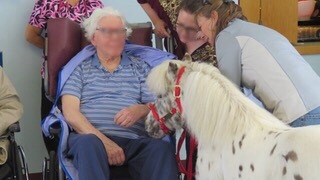 Tiny Dancer is a miniature therapy horse registered through Pet Partners. Last spring, she was unable to move in her stall, which resulted in an emergency visit from her vet. After many tests and x-rays, Tiny Dancer was diagnosed with a dislocated femur. Thankfully, this spunky therapy horse is back to dancing again. 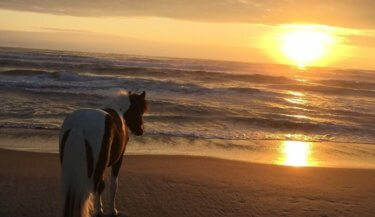 Read about Tiny Dancer’s incredible journey. 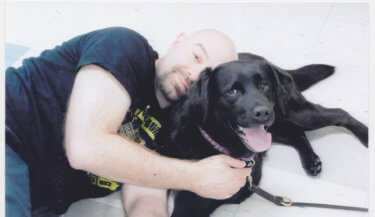 Tiffany and Daisy, a sweet and mild-mannered black lab, are a registered Pet Partners therapy animal team. For the past four years, the duo has made weekly visits to Joe who lives at a residential mental health facility in Connecticut. Read about Joe’s love and gratitude for Daisy, which is also beautifully recounted in a poem he wrote. 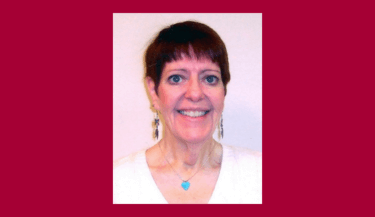 Marion Nixon has served her community in the Houston area for two decades, as a handler, team evaluator, and volunteer instructor. She’s also been a pioneer in our Animal-Assisted Workplace Well-being initiative. 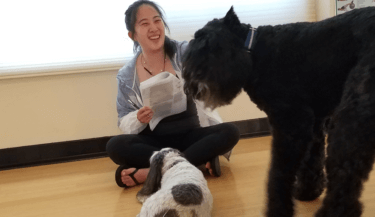 Marion shares her experiences with AAWW visits and the benefits they bring for her Pet Partners as well as the people they visit. 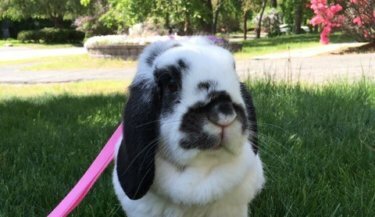 Dudley and Karen have been a Pet Partners therapy team since 2014. Together, they have made a difference in the lives of countless individuals, young and old, from around the country. 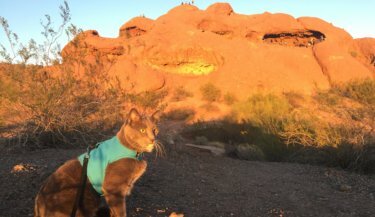 Read about their amazing adventures. People of all ages have the same reaction when they catch a glimpse of Hirschey: a smile and a wish to pet a welcoming surprise they did not expect to see in their midst. 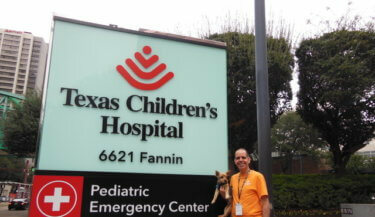 Read about Hirschey’s impact at the Texas Children’s Hospital. Some of Judy’s most precious memories with her Pet Partners therapy dog, Ranger, take place at their local senior care facilities. The way the residents respond to Ranger and his calm, loving demeanor is incredible. Read about a few of Ranger’s shining moments. When Lorri adopted her cat, Sooshi, she was six weeks old, weighed only 1.9 pounds, and needed to be treated for feline panleukopenia virus. 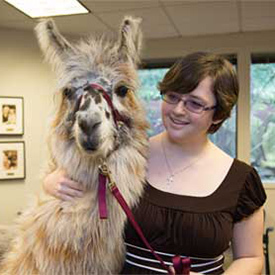 Read about how it was love at first sight for the new-found therapy animal team. Pet Partners therapy animals Daisy and Molly welcomed students to the new semester at Scripps College in Claremont, California. Read about how the dogs have become part of the Scripps family. At home, Star is a typical mini horse who loves to play and get dirty but once she gets clean and puts on her therapy vest, she becomes a totally different horse. 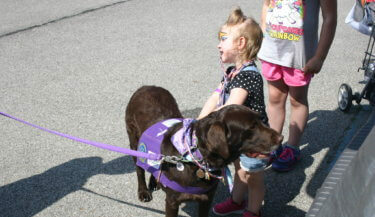 Read how she exceeds therapy horse expectations. 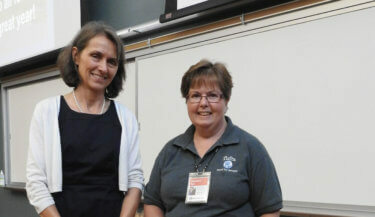 After years of being a Pet Partners handler and team evaluator, the time has come for Judy Weldglen-Gibson to retire. 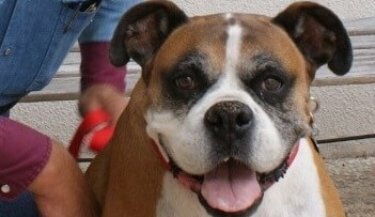 Read on as she recounts a few of her precious memories as a Pet Partners volunteer. 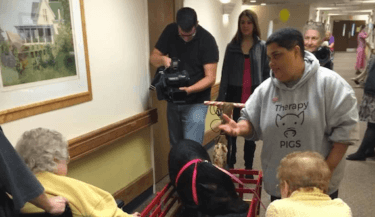 Jean Meloney and her therapy horse Stella have visited the New Hampshire Veterans Home numerous times, but one visit in particular stands out. 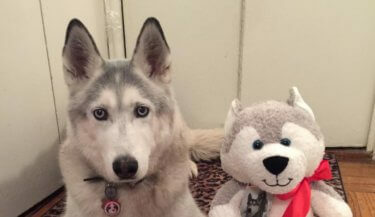 Read the adorable story of a “thank you” they will never forget! 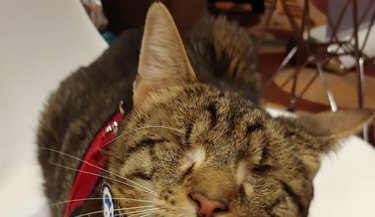 After Tracy, a Pet Partners handler, submitted an update for her local alumni magazine, she received an unexpected email regarding her volunteer work with Roger the therapy cat. Soon after adoption, Kathy and Abby found a special bound that led them to Pet Partners. Learn how Abby brought sunshine back into Kathy’s family! Every patient’s bed monitor at Henry Mayo Newhall Hospital has a dedicated “Therapy Animal Request” button that the patient can press to request a visit. 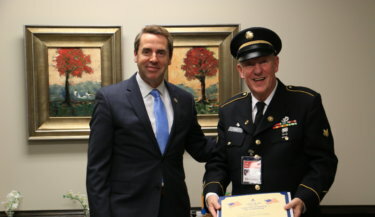 Pet Partners therapy animal team JR Poe and Buddy were recognized with the Community Hero award by North Carolina Representative Mark Walker on February 12! 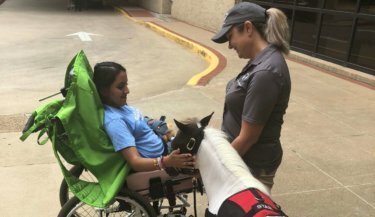 MacNeal Hospital Praises Pet Partners Therapy Animal Team! 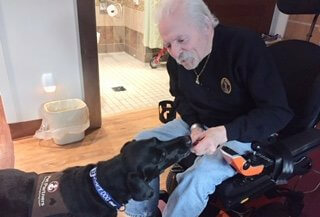 Tim and Quincy have only been a Pet Partners therapy animal team for two years, but Tim was moved by the feedback he received from MacNeal Hospital in Chicago after just a few visits. Kate Gutilla has always loved animals, making her the perfect fit for animal-assisted therapy. Read all about what she’s learned through her work as a handler here. Beau and Caroline have been a Pet Partners therapy animal team for over 8 years, volunteering 300+ times a year, servicing multiple populations including pediatric cancer, persons living with disabilities, and more! For the fourth year, they were invited to participate in the St. Francis Food Pantries and Shelters annual Christmas party. 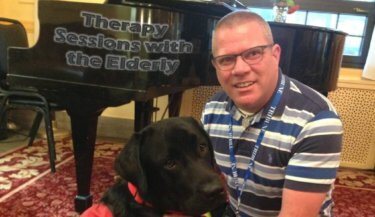 Since 2009, Bill Clemons and his therapy dog, Dickens, have visited with more than 8,000 people at over 60 different locations. Read about some of their most memorable visits as well as the incredible story of their encounter with the great-great-great granddaughter of Charles Dickens. 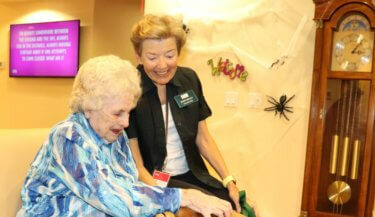 Glaucoma hasn’t stopped June and Toto from visiting and giving love to those in hospice care. 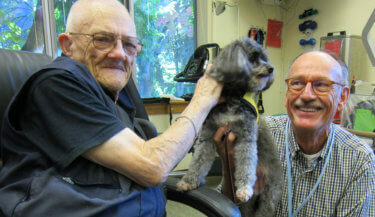 Alan Koch and canine companion Maggie have been volunteering for more than nine years at Our House of Portland where they work with acute-care HIV residents. This month, Portland Monthly magazine named Alan and Maggie “Extraordinary Volunteer” in Portland in its annual Light a Fire Awards. Las Vegas is a very tight-knit community and if you are there visiting, even for a short while, you are part of that community. The immediate aftermath of October 1 brought out the best in humanity, in response to the worst. 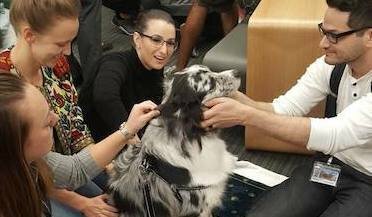 And the therapy animal teams with one of our Community Partners, Love Dog Adventures, were privileged to be invited into the inner circle of healing through our strong partnerships with education and healthcare communities. "She works, can I keep her?" 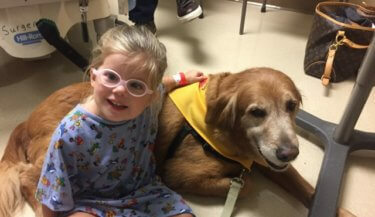 Casaundra Maimone could never have imagined the profound impact Winnie the therapy dog would have on a young patient waiting anxiously for surgery. Miguelita’s advice to new teams: Never underestimate the value of what you do. The impact you make may be more than you realize. For the past three years, Tufts Paws for People has presented the “Nemo Award” to a team that has excelled at visiting with multiple groups of people, donating their time to bring comfort to others. This year’s recipient is seven-year-old miniature poodle Raven and her handler Stephanie Nye. 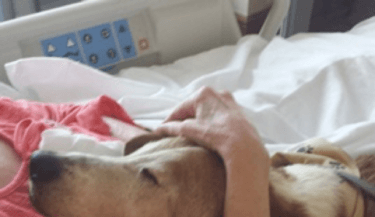 Given the choice between euthanasia or emergency surgery, Pet Partners handler Lisa Demetrius made the decision to give Ari a second chance at life. Ari will never regain the use of his lower back or hind legs, but that’s not stopping him from sharing his love with all who need it! Two years ago, CeCe found herself at a shelter when her owner was no longer able to care for her. 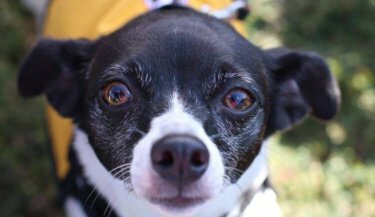 As a senior dog with health issues, she was not adoptable. 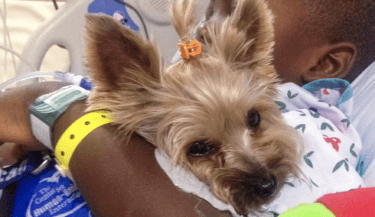 It took several months to restore her health but when CeCe recovered from surgery, lost weight and gained strength, her new owner discovered a calm, sweet-tempered dog who loves to be read to by children. 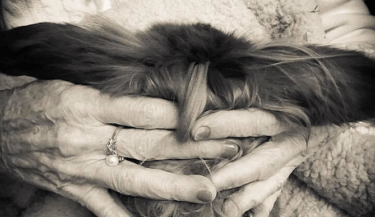 Never underestimate the impact of one of the smallest therapy animals! Patti learned that lesson when her therapy guinea pig Bonita made a huge impact on her first visit to the hospital. 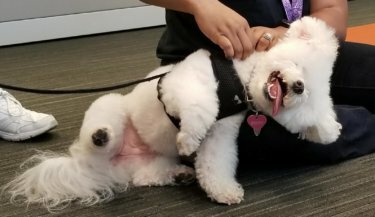 Pet Partners recognizes epilepsy as a condition and not an illness, which means Ruby is allowed to do her good work as long as her seizures are controlled, she feels well, and an emergency plan is in place in the event of a seizure during a visit. 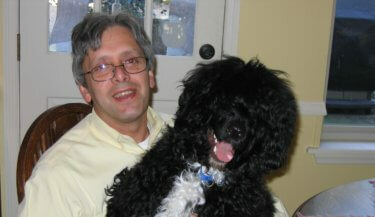 Read the touching story of a man, his dog, and their journey through life together. 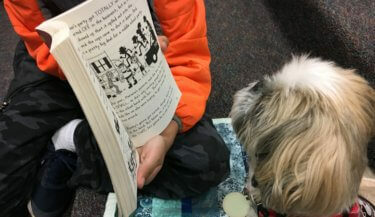 Junebug the therapy dog could tell the little girl was struggling to turn the page, so she offered a helping paw and they did it together. It was getting toward the end of their shift when a nurse approached Laurie and Truitt for just one more visit. She could never have imagined just how impactful that one visit would be – not just for the patient but for everyone around. 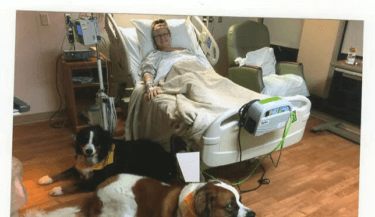 When Maria became the patient, therapy dogs Walter and Holly were able to bring comfort and love to their handler in the hospital like they had for others so many times. Saying goodbye is hard. 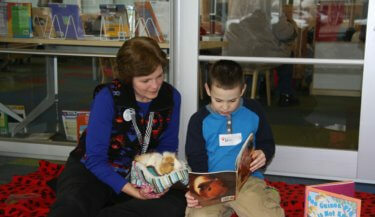 Bentley the Therapy Bunny shares his take on his final visit with one of his favorite friends! 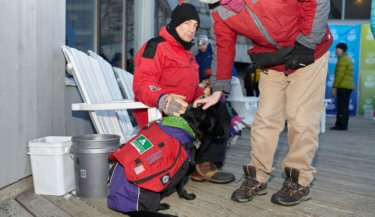 Among the many volunteers at this year’s Vermont Special Olympics were Peter Hoffman and his dog Smudge, a Pet Partners registered therapy team. 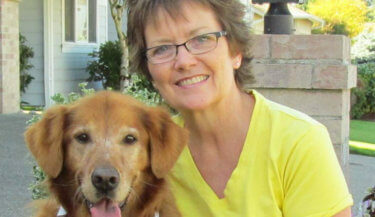 Recently Diana had to make the sad (but right) decision to retire her therapy dog, Harli. Harli had been battling cancer for several years, and the time had come to just let her enjoy her life. Meet Chris and her therapy animal, Harley Rose. They are a new team, and are a little bit different from most teams, as Harley is a pig! 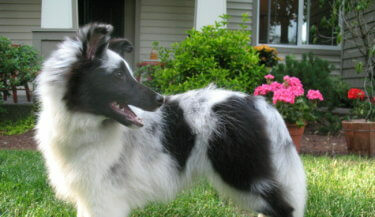 Long before Freckles was a Pet Partner, he was Verylon’s partner as a firefighter in Somerset, TX. Feature you and your pet in our next issue!